I love walking around town and finding art in unexpected places. 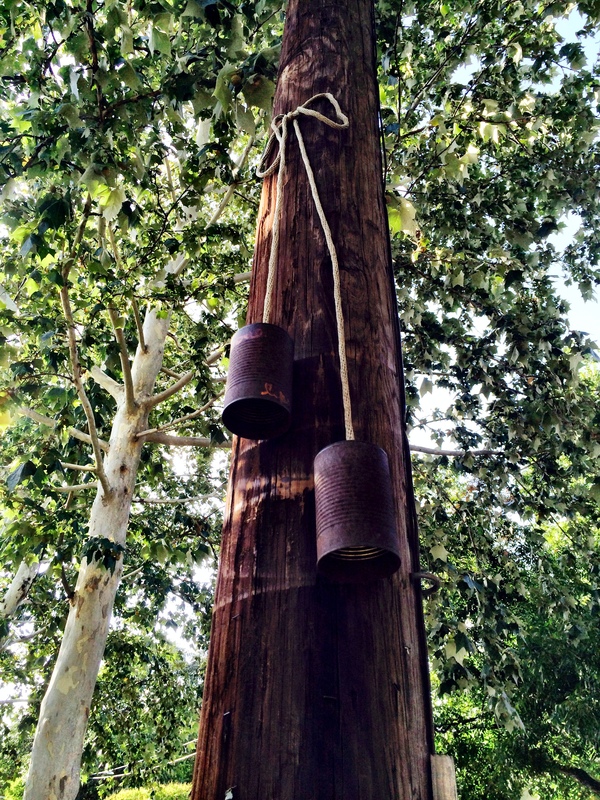 Like the piece on this telephone pole (much like the South 1st treasures I found). Walking back to my car after a stroll down South Congress, I was looking up admiring the trees lining James Street (the street the runs between Jos and The Snack Bar), when I happen to see this lovers telephone affixed to the pole. (Thankfully it was windy enough to make the rusted, unassuming cans dance a little in the gusts, otherwise, I may have missed it). Simple, beautiful and powerful; it’s a faint dream of ghost lovers whispering sweet nothings late into the night and dancing with the wind. Do you have a favorite street artist/street art installation? Do you know the creator of this piece? Why do you love Austin?